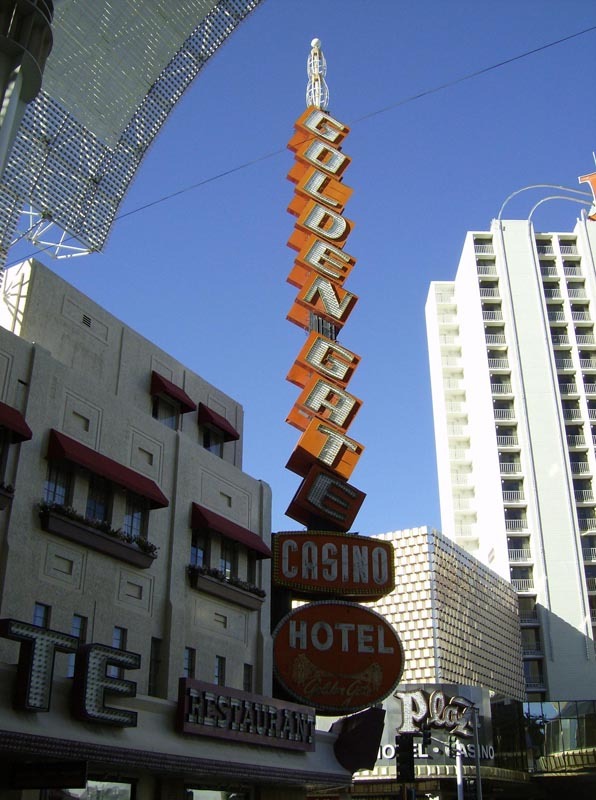 The Golden Gate Hotel & Casino is located at One Fremont Street. A part of the Fremont Street Experience, it is the oldest and smallest hotel (106 rooms) on the Fremont Street Experience. Casino: Yes, 10,000 square feet with casino games including Blackjack, Craps, Roulette and more than 300 slots and video poker machines. Race & Sports Book: No, but a sports betting kiosk is available. Restaurants: The Golden Gate has the following dining options: Du Par’s Deli and Du Par’s Restaurant. Nightlife: No, but there is a main bar on the casino floor and a bar with frozen beverages and draft beer in front of the hotel. Attractions: No, but the hotel-casino is adjacent to the Fremont Street Experience. Health Club or Fitness Equipment: No. In-Room Internet Access: Yes, wireless internet access is available (for a fee). Hotel Amenities: Maid service and wake-up call. Standard Room Amenities: 32 inch flat screen televisions, pillowtop mattresses, iHome clock radios and one cup coffeemakers. Incidental Charges: Hotel requires a credit card and a $100 deposit on the card for security/incidental charges.